The is the short film November 1st from Fright Rags. 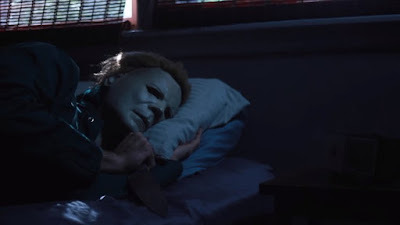 We all know what happens on Halloween in Haddonfield, as Michael Myers has ruined the holiday for the town, but now we get a taste of what occurs after all of the festivities are over. The new short film was created by Eric Maira, Chris Hogan-Roy, Benjamin Scrivens, Chris and Tanski. Check out the synopsis and short film below. "This is a short film we created to find out what a typical November 1st might look like for Haddonfield's favorite slasher. Does he sleep in? Does he sit home and relax after a night of killing? Watch and find out." .